Hunger is a problem that a lot of us don't see. However, it affects people all around us every single day. 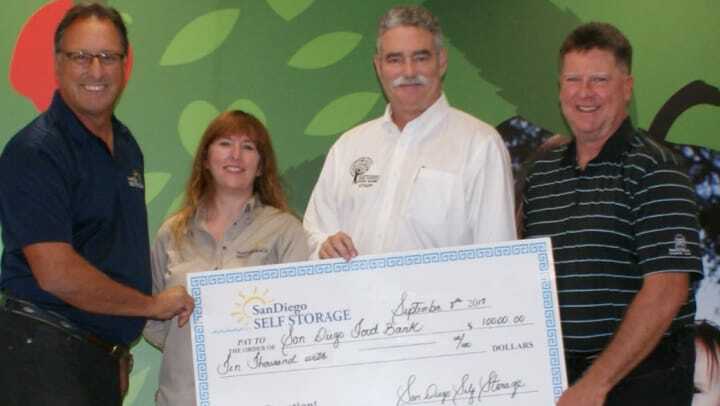 That is why San Diego Self Storage is proud to support the San Diego Food Bank and their amazing efforts. We have served San Diego since 1972, and we are grateful to be a part of this amazing community of generous people. With your help we were able to donate $10,000 and collect over 2,000 items of food. Our donation will provide 50,000 meals to local families in need! Thank you, San Diego Food Bank, for your large role in combating our city's struggle with hunger. Lastly, THANK YOU for your donation and support of this year’s food drive.